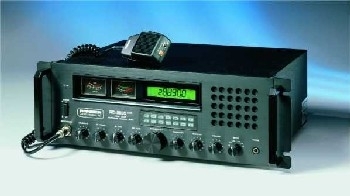 The RCI-2995DX offers microprocessor-based advanced features typically found in high-end units costing several times as much, including programmable repeater offset and capabilities for a CTCSS tone option — great for increasing repeater activity on 10 meters — and receiver scanning for quick search of active frequencies. The unit offers three methods of frequency selection, non-volatile memory to store and scan up to ten favorite frequencies, scanning of selected frequency segment or stored frequencies and front panel frequency selector lockout . 2 x 2SC2290 finals in amp section.